Lactobacilli strains are used in probiotic food items because they are associated with health benefits. Aloe vera is fortified with many health benefits, to name a few antitumor, antidiabetic, healing wounds and burns, treatment of ulcers and antimicrobial properties. In this study, four Lactobacillus strains L.casei, L.acidophilus, L.delbrucekie, B.bifidium and their consortia C1, C2, C3, C4, C5, C6, C7, and C8 were fortified with Aloe vera. Tolerance to different temperature 25 0C, 370 C and 650 C were assessed in presence and absence of Aloe vera and it was observed that survival rate increased in presence of Aloe vera. 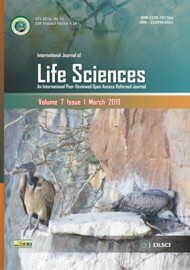 Tolerance to different salt level 2%, 4% and 6.5% were also assessed in presence and absence of Aloe vera and it was observed that some bacterial strains survived at 2% salt concentration, all at 4% salt concentration and few at 6.5% salt concentration and in presence of Aloe vera tolerance percentage was increased. Tolerance of lactic acid bacteria for different pH levels 4, 6.5, 8 and 9 in presence and absence of Aloe vera were assessed, it was observed that survival rate of cultures were good at pH 4, moderate at pH 6.5, less at pH 8 and very less at pH 9 in presence of Aloe vera wheareas in absence survival rate decreased. This study helps in assessment of increase in number of probiotic bacteria in presence of Aloe vera. Keywords: - Antitumor, Antidiabetic, probiotic. Pavitra Sharma, Anuradha Singh and Nupur Mathur (2019) Assessment of increase in probiotic potential of Lactobacillus strains fortified with Aloe vera, Int. J. of. Life Sciences, Volume 7(1): 102-106. Adebayo-Tayo, Bukola C and Abiodun A Onilude (2008) Screening of Lactic acid bacteria strains isolated from some nigerian fermented foods for EPS production. 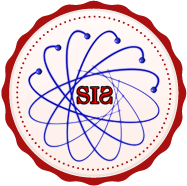 World applied sciences journal, 4 (5): 741 – 747. Bakari D, Tatsadjieu NL, Mbawala A, Mbofung CM (2011) Assessment of physiological properties of some lactic acid bacteria isolated from the intestine of chickens use as probiotics and antimicrobial agents against enteropathogenic bacteria. Innov rom food biotechnol . 8: 33–40. Calder PC, Kew S (2002) The immune system: a target for functional foods. Br. J. nutr. 88, Suppl. 2 : 165–77. De Vriese MC, Vaughan EE, Kleerebezem M and De Vos, WM (2006) Lactobacillus plantarum-survival, functional and potential probiotic properties in the human intestinal tract. International dairy journal, 16: 1018-1028. El-Shenawy NS, Abu Zaid A, Amin GA (2012) Preparation of different types of miso with mixture of starters and their effects on endogenous antioxidant of liver and kidney of mice. J anim physiol anim nutr. 96(1):102–110. Kim SH et al., (2014) The anti-diabetic activity of Bifidobacterium lactis HY8101 in vitro and in vivo. J Appl Microbio. 117 : 834 – 845. Marteau P, De Vrese M, Cellier CJ and Schrezenmeir J (2001) Protection from gastrointestinal diseases with the use of probiotics. Am J clin nutr. 73, 430S–436S. Mishra V and Prasad DN (2005) Application of in vitro methods for selection of Lactobacillus casei 376 strains as potential probiotics. International journal of food microbiology , 15: 109-115. Wright AV, Vilponen ST, Blopis MP, Colins K, Kiely B, Shanahan F and Dunne C (2002) The survival and colonic adhesion of Bifidobacterium infants in patients with ulcerative colitis. Int. dairy J., 12: 197.